Our latest series of blog posts will be covering some of the amazing coffee shops taking part in UK Coffee Week this year! Turning our attention north, we’re looking at 10 coffee shops across Scotland and highlighting how they will be raising money for Project Waterfall. From the streets of Edinburgh all the way to John O’ Groats, coffee shops around Scotland are joining forces and we couldn’t be more excited. Make sure you let us know how your coffee shop will be celebrating this UK Coffee Week. Just a short stroll from Waverley train station, The Milkman is the definition of artisan coffee in Edinburgh. Nestled underneath a historic (and Scottish World Heritage protected) sign, this is a coffee shop that you won’t soon forget. This is their first year taking part in UK Coffee Week and we’re excited to see how they take part! One of the classics of the Edinburgh coffee scene, Brew Lab has pulled of the industrial look in a way that most places only wish they could. As one of the leading coffee names not just in Edinburgh but all of Scotland, Brew Lab is the place any coffee loving local will direct you. 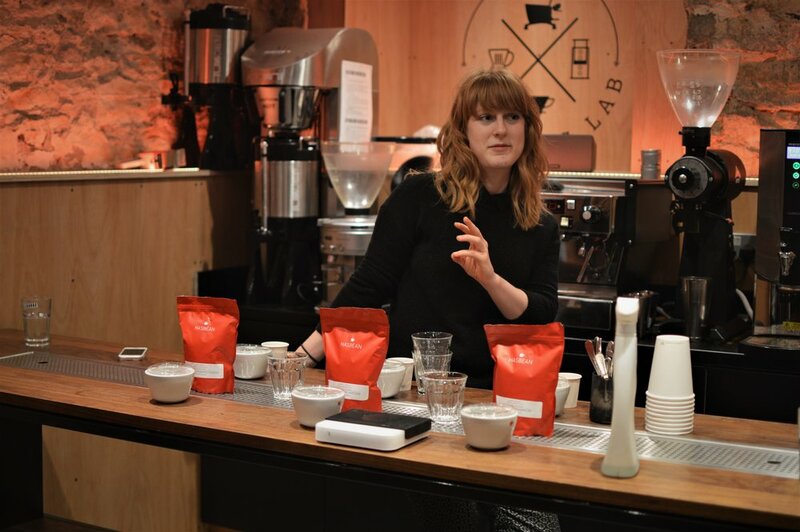 For UK Coffee Week last year, they teamed up with other local artisan coffee shops as part of the “Disloyal 7” to take part in a city-wide coffee crawl, celebrating the diversity and quality of the Edinburgh coffee scene. 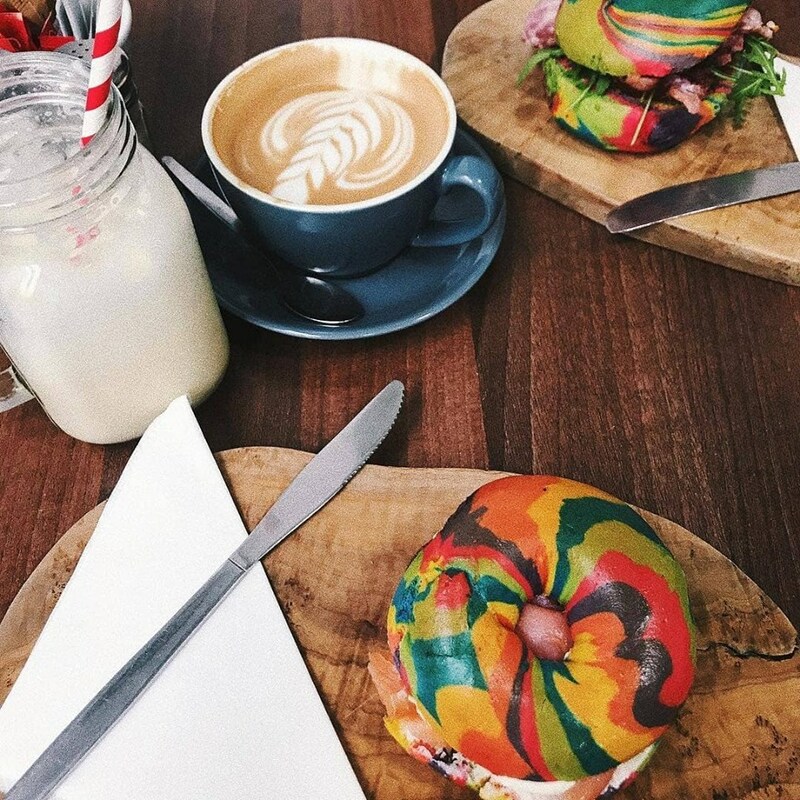 With equal focus on artisan coffee as well as amazing food, the crew at Urban Angel have become the spot for brunch in Edinburgh. For 15 years, they have been carefully sourcing all their ingredients to create the best experience possible for their customers. This is their first year supporting Project Waterfall and they will be donating 10p per coffee sold throughout UK Coffee Week! Located just around the corner from their beautiful café, the Papercup Roastery is tucked away and those who go are in for a treat. This bright little shop is perfect to hang out with some friends to catch up over a great cup of coffee. For their first time taking part in UK Coffee Week, the crew at Papercup Roastery have a lot planned! If you’re in the area, keep your eyes open to see what they’ve got going on. Craving a delicious pastry to go with your coffee? Known for their blend of British home baking and French patisserie, Cottonrake Bakery is helping bring UK Coffee Week to Glasgow this year. Located in the heart of Glasgow is the perfect place for a relaxing sit down. UK Coffee Week has spread to every corner of the country. First time UK Coffee Week participant, Stacks Bistro may just be the most northern coffee shop in the UK, or at least will be the most northern store taking part this year! We’re excited to see what they have planned for UK Coffee Week. Glen Lyon’s is one of Scotland’s favourite coffee roasters, located in the heart of the Scottish Highlands. Inspired by the beautiful country side they call home, they are on a mission produce the perfect coffee. Born on the top of a mountain after spending years digging their way through snow, they are committed to bringing the best coffee to even the most rugged of Scottish country. Nestled atop a seaside cliff overlooking Thurso Bay and in the distance the Orkney Isles, The Blue Door, Thurso is one of the best original burger joint and ice cream parlour, has emerged the area’s favourite independent coffee joint too in the eight years since it opened for business. An easily accessible coffee oasis for caffeine aficionados in the area. This is the first year that The Blue Door is participating in UK Coffee Week and to celebrate, it will donate 10p from every coffee item sold during the week including specialty coffees, coffee ice cream (from its own artisan ice cream range produced on the premises), and coffee smoothies. What’s your food story? Is it a romance staring your favourite comfort foods, or a horror story filled with junk food and microwavable meals? Foodstory’s is filled with healthy, locally-sourced food for all dietary requirements and plenty of tasty coffee. Located in the centre of Aberdeen, Foodstory was launched in 2013 through a Kickstarter, with a dream of bringing people together. With that goal in mind, we’re so pleased that they could join UK Coffee Week 2018! Located in the heart of Dundee, The Flame Tree Café is a ‘must-go’ for any coffee lover. With a huge selection of mouth-watering sandwiches and a flair for the creative, these guys are UK Coffee Week alums and are back again to take part in another year of fundraising for Project Waterfall. At first glance, you may notice the amazing coffee or delicious food selection at Zest St. Andrews. Take a second glance and you’ll find something truly inspiring. This is a specialty coffee shop working with people who face barriers to employment, in partnership with DWP, supporting employment services for those with disabilities, mental health issues or learning difficulties. For UK Coffee Week they are teaming up with Edinburgh based Machina Espresso and will be running a cupping as well as a talk on the 19th April.